Les Brouilleurs d’Écoutes, a Franco-British group, were founded late one June evening in Corrigan’s Irish Pub in La Rochelle back in 2005. They alternate between French and English performing traditional shanties and songs of the sea both French and British as well as their own self-penned material. 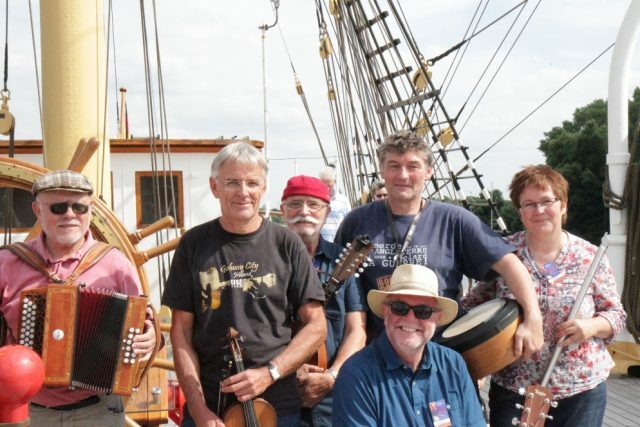 The group usually plays around its home port of La Rochelle, but is also happy to undertake longer journeys to the festivals of Dunkerque, Paimpol, Brest, Vegesack-Bremen, Falmouth, Appingedam and even as far as Harwich !